Practical and comfortable, Shape and Slim Sculpt Leggings are shaping leggings that mold to the exact shape of your body. 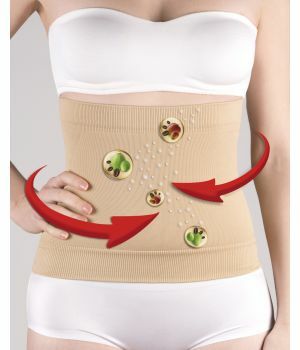 They will flatten your tummy, reduce curves on your waist & hips, and lift your buttocks. These long leg shapers include a microcapsule that contains all-natural active ingredients that will slim and shape throughout your busy day and night up to 20 washes. Slimming and Cellulite Reduction Benefits: Caffeine combined with Cedrol stimulates fat burning and helps efficiently reduce the appearance of cellulite.